This thesis identifies the card technologies used in loyalty programs across Estonia. These technologies include magnetic-stripe cards, contactless cards (in the form of MIFARE Classic, MIFARE Ultralight, MIFARE DESFire EV1 and low frequency RFID cards) and a smart card known as the Estonian electronic identification card (ID card). Each card type implements its own security features to prevent cloning and/or unauthorized access to the content stored on the card. The contents of each card was read and the method in which it was used in the system analysed. In the cases where possible a clone of the card was created and tested against the real system to verify that it passed the authentication procedures. This is MSc thesis from TUT Cyber Security curriculum. The thesis was defended in June 2017. The thesis analyzed cloneability aspects of the loyalty cards used in Estonia. 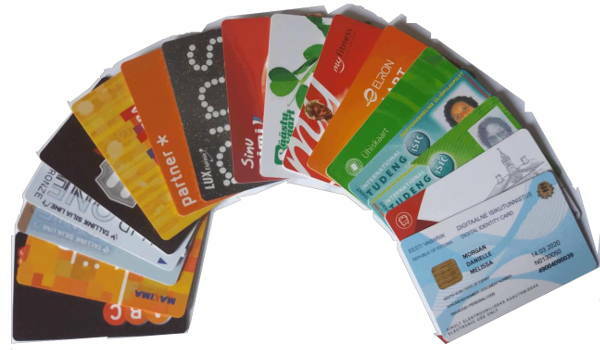 While the magnetic-stripe cards are known to be trivially cloneable, the study also analyzed bunch of contact-less cards: MyFitness, Elron, Tallinn Bus Card, ISIC, SEB ISIC, Tartu Bus Card, Rimi Card. Only the Rimi and Elron card was found to withstand known cloning attacks. This entry was posted in Electronic Identity, Electronic Payments, MSc Theses and tagged Danielle Morgan on December 14, 2017 by user469294.